Coach - Participate - Play! Volunteers can come hang out and play flag football with Club members ages 7-12 for ONE HOUR a week. All about fun and engaging youth to enjoy recreation and teamwork! Please email Erinn Hendricks, Program Director at: ehendricks@bgclansing.org if interested. Groups and Individual volunteers welcome! 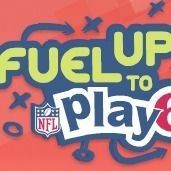 Log in to see who is volunteering for NFL Flag Football Intramurals!